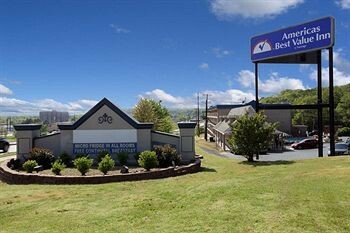 Property Location With a stay at Americas Best Value Inn in North Little Rock, you&apos;ll be close to Old Mill and William J. Clinton Presidential Center and Park. This hotel is within close proximity of Old Grist Mill and Arkansas Sports Hall of Fame.Rooms Make yourself at home in one of the 75 air-conditioned guestrooms. Complimentary wireless Internet access keeps you connected, and cable programming is available for your entertainment. Conveniences include desks and coffee/tea makers, and you can also request cribs/infant beds (complimentary).Rec, Spa, Premium Amenities Enjoy the recreation opportunities such as a seasonal outdoor pool or make use of other amenities including complimentary wireless Internet access.Business, Other Amenities Featured amenities include complimentary high-speed (wired) Internet access, complimentary newspapers in the lobby, and a 24-hour front desk. Free self parking is available onsite.